Screening for revenue assurance and contraband in complex environments can be a daunting task. 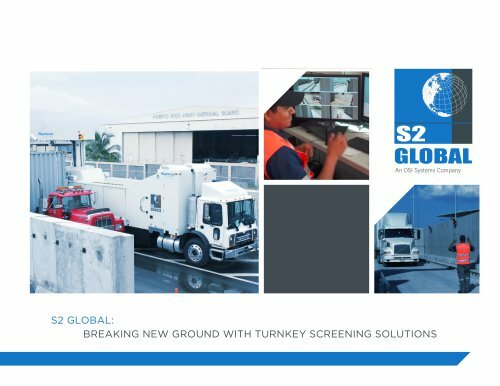 S2 Global manages the entire screening solution from planning to operation so your focus can remain on collection and enforcement. S2 Global, is guided by a team of executives with decades of experience in large system security management, government affairs, program, and maintenance management. Ports, land borders, airports: Successful checkpoint screening requires comprehensive planning, cutting edge technology, trained personnel, and accurate image analysis. The unique benefit: A cost-effective, high-throughput operation.